Allentown, PA (July 9, 2018) – Continental Commercial Vehicles & Aftermarket, a leading aftermarket supplier of OE-engineered aftermarket parts for HVAC and engine cooling, door systems, brake systems, tire pressure monitoring systems, engine management, fuel systems and instrumentation, has expanded its overall vehicle coverage for TPMS sensor applications with a VDO REDI-Sensor TPMS sensor (Part No. SE10003A). 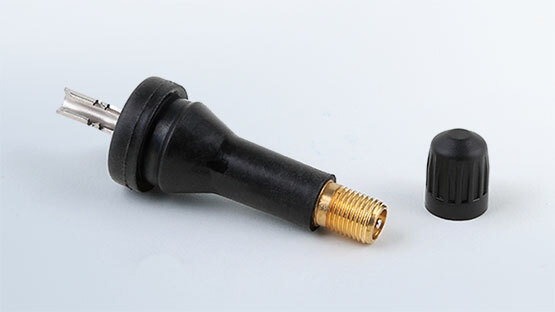 This innovative multi-application TPMS sensor covers over 20 million vehicles and does not require sensor cloning or programming. Applications include 2018 Ford, Hyundai, Mercedes-Benz, Nissan, Subaru, Toyota, and Volvo models. VDO REDI-Sensor (SE100003A) clamp-in TPMS sensor features an aluminum clamp-in valve stem that is resistant to many road hazards and complements today’s alloy wheels. 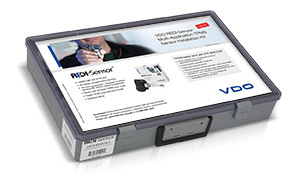 Unlike sensors that require programming, cloning, or the purchase of specialized programming tools, software, or training, no additional purchases or training are needed to get started with VDO REDI-Sensor sensors because they are already pre-programmed from the factory and designed to follow existing OE vehicle relearn procedures.